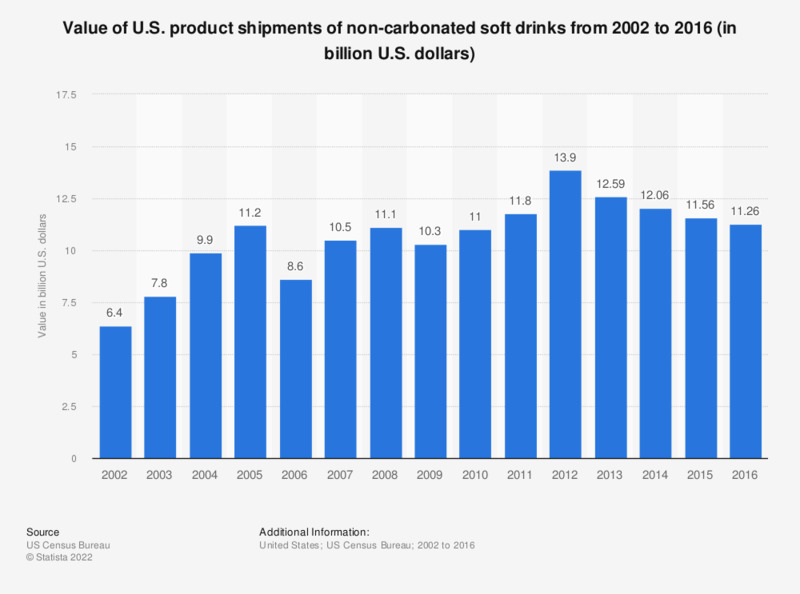 The timeline shows the value of product shipments of non-carbonated soft drinks in the United States from 2002 to 2016. In 2016, the U.S. product shipment value of non-carbonated soft drinks amounted to approximately 11.26 billion U.S. dollars. Everything On "Soft drinks in Canada" in One Document: Edited and Divided into Handy Chapters. Including Detailed References. Statistics on "Soft drinks in Canada"